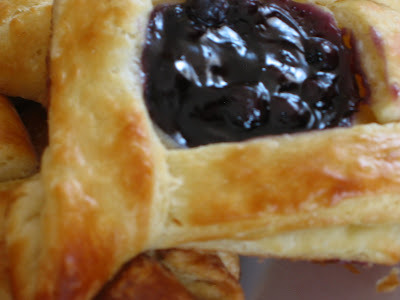 Thank you Beatrice for sharing such a lovely pastry and Cafe of the East for a wonderful write-up on danish pastries as usual and sharing step by step pictures. It was so rewarding to make and i had to share my experience. Measure the flour into the work bowl of a food processor with the steel blade in place. Slice the butter in half, then cut into 1/2 inch slices and add into the flour. Then using pulse button of the food processor, cut the butter into the flour until it is in pea-sized pieces. This takes about 8 pulses. 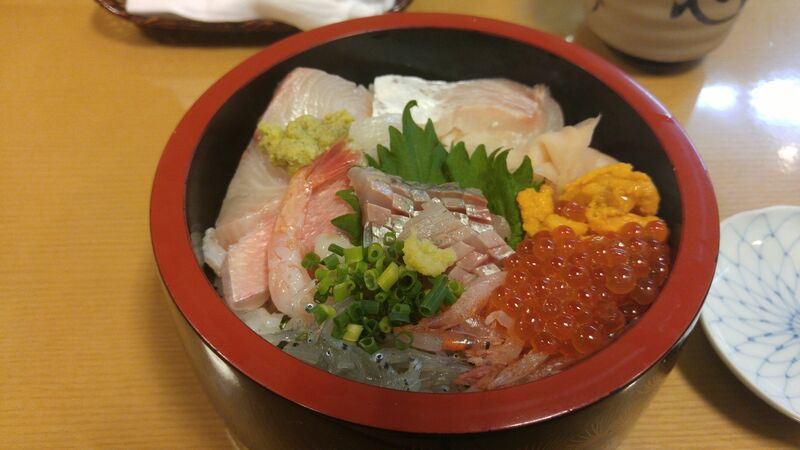 Turn into a large bowl. Pour the liquid mixture over and fold the two mixtures together just until the flour is moistened. Scrape the bottom of bowl to loosen the dough from the bowl and dust lightly with flour the top of dough, then turn dough out onto floured work surface. Dust the dough lightly with flour and shape the dough into a rough square with your hands. Fold the dough into thirds like a business letter. Roll lightly to flatten the dough and fold it again into thirds, closing the ends (the dough will now be in a square). Wrap the dough and chill for at least 30 minutes. Fold into thirds again, business letter style. Roll out a second time to make a long, narrow rectangle and fold up again in thirds to make a square. Roll out to make a square 20 inches x 10 inch. Cut into eight 5-inch squares from one half. Place a pastry square on the work surface. Brush the uncovered edges with egg white and lift the four corners of the pastry off the counter and seal in the center of the square. Squeeze the corners together to give them a little pinch and a twist to create a small topknot. Place on a parchment-covered or silpat lined baking sheet. Pastry can be shaped into Pin wheels/Spandauer. 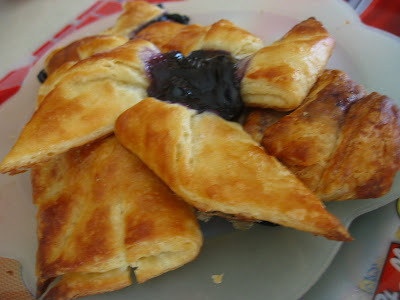 Techniques for folding pastry dough and shaping - See http://cafeoftheeast.blogspot.com/2007/09/danish-pastry.html . Preheat the oven to 400*F. (375*F. for convection oven). Let the pastries rise, covered with a kitchen towel for 30 minutes until they look puffy (they will not double). Brush the pastries with beaten egg white and sprinkle with pearl sugar(if available) or sliced almonds. Transfer onto a cooling rack and drizzle with powdered sugar icing glaze if desired. Stir the apricots, water and sugar together in a large microwave-safe bowl or a 4-quart glass measuring cup. Put the bowl in a microwave oven and cook at full power for 10 minutes, stirring a few times, until apricots are soft and puffed and have absorbed almost all of the liquid. Turn the mixture into the work bowl of a food processor with the steel blade in place and process until smooth. Stir in the lemon juice, almond extract and the almonds. Can refrigerate up to 2 weeks .